Such is my undying affection for the Porsche 356 Speedster, that no other car can take its place of primacy in my heart. It is Diane Lane, to me. In other words, perfection. The Speedster was a “cut down” version of the cabriolet – the steel windshield frame was excised for a lightweight, aggressively raked aluminum unit that was easily removable for racing – with all soundproofing and weather stripping ripped out. Even the windows were discarded in favor of largely useless plastic side curtains. It was the car James Dean embarked on his racing career with, until he traded in his Speedster for his ill-fated 4-cam 550 Spyder. And like Diane Lane, through a frustrating combination of obstacles, the car remains tantalizingly out of reach for me. But each night like Gatsby I envision its majesty like a green orgiastic light on the dock across the water, and imagine myself to beat like a boat ceaselessly against the current, inexorably towards it. But having previously owned a vintage Porsche, specifically a 1979 930 Turbo, vintage car ownership can be fraught with challenges brought on by the ravages of time. During the two-year ownership of La Punta del Diablo (the nickname I bestowed upon it), when the car wasn’t trying to kill me by rapidly switching head/tail position when I lifted slightly off the throttle, I experienced an exploding clutch, an engine that leaked oil more fiercely than the weeping Madonna of Akita, electric windows stuck at a constant half mast, and rubber gasket with the water integrity of sieves. As much as I adore the concupiscent perfection that is the inverted bathtub iconography of Ferry Porsche’s 356, what I really want is the reliability of a new car. I would also like to know that each time I thundered down the road like the myopic Mister Magoo I am, I wasn’t risking pranging some now 60-year-old piece of automotive history into oblivion. Wouldn’t it be incredible if Porsche took a perfect vintage 356 and placed its body in a three-dimensional scanner to perfectly replicate it down to the very last micron? Wouldn’t it be incredible if, instead of the air-cooled push rod 4-cylinder engine originally designed for the Volkswagen Beatle, they engineered a new version of the 912’s engine hot-rodded with Weber carburetors? Wouldn’t it be extraordinary if they were to offer this car, the icon that started it all, the very original sports car that established their more than half-century dominance in the performance car world, in a limited edition to the public? 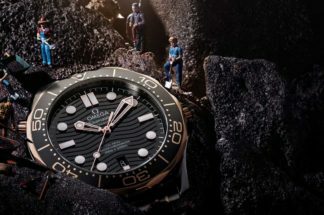 Well, this is exactly what Omega has done with their CK 2915, the very original and most coveted Speedmaster of all time, the watch that gave birth to one of the greatest legends in watch history, and the timepiece most inextricably linked with the space program – the most significant advancement of mankind in the 20th century. If James Dean had lived to put his Porsche Spyder through the paces in the two years beyond 1955, he would have doubtlessly ended up with an Omega Speedmaster CK2915 on his wrist. Because it was the very first chronograph created for auto racing. It was the very first watch with a tachymeter on is bezel, placed there for maximum visibility. What’s a tachymeter? It’s a scale that, in combination with a chronograph’s stopwatch function, allows you to calculate your average speed over a set distance. Say, each time you complete a one-kilometer lap and you stop your chronograph, the seconds hand will read your average speed for that lap relative to the tachymeter scale. The Omega Speedmaster CK2915 was one of the most distinct sport watches to have ever been created. Its matt black dial featured high visibility yet elegant attenuated luminous indexes. It featured three counters, one for continuous seconds, one for the 30-minute counter as well as a 12-hour counter which was vital for endurance races. 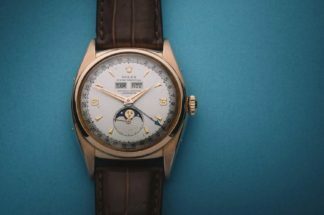 The hour hand was a brilliant original design known as the Broad Arrow for its unique shape, and was combined with an equally aggressive minute hand, both treated with luminous material. At 38mm in diameter it was a large watch for its day and is the first of three Speedmaster models to feature straight lugs as opposed to the lyre lugs created for the model ST 105.12. 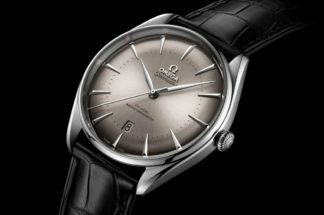 Omega has chosen to give the Super Luminova material the color of vintage tritium and given the dial a slight tropicalized appearance as a wink to the way in which the vintage watches have aged. The one modern upgrade is the use of cal. 1861, a contemporary version of the cal. 861 introduced in 1968 to the Speedmaster. This movement uses an arguably more reliable and definitely easier to set up switching cam as opposed to the column wheel found in the cal. 321 used in the original CK2915. Released in 2017 in a limited edition of 3,557 watches the Speedmaster 60th Anniversary CK2915 immediately triggered a worldwide feeding frenzy resulting in the watch trading for significant premiums on the secondary market. 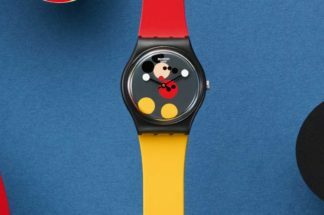 It is such a successful recreation that when I first wore mine, one of the world’s most renowned vintage experts thought I was wearing an original vintage watch. Because of the extreme rarity of the original CK2915-1 and CK2915-2 watches –the only original Speedmasters with the Broad Arrow hands – they now command prices in the hundreds of thousands of dollars. Thanks to my friend William Roberts, founder of the website Speedmaster 101, and the world’s preeminent vintage Omega collector, I’ve tried on several of the best existing examples of the original CK 2915. And as much as I love them, I would feel nervous about donning one as a daily wearer, let alone jumping on my motorcycle or into the swimming pool with it on. My 60th anniversary CK2915 is one of my favorite daily wearer and has accompanied me on long road trips, to Soul Cycle and through innumerable adventures and countless countries. It has all the charm of the original combined with the flawless performance of a modern watchmaking, it in many ways is the perfect timepiece. The only caveat to this is that I’ve had to buy two of them as my first one was so admired by a great friend of mine that I gave it to him as his wedding present. 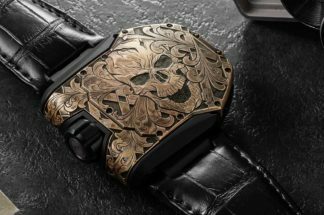 And it has since become one of his favorite watches.